Let Northern Lights Credit Union help make your next auto, truck or recreational vehicle purchase a positive informed experience. Northern Lights can assist you in determining the true market value of your purchase as well as your trade. Northern Lights offer some of the most attractive rates in the area along with great services like GAP Insurance, Life and Disability, and Mechanical Warranty often times at a fraction of the price of a dealership. Remember when offered the rebate vs. a low interest rate from the dealer, always take the rebate and finance with NLCU for the lowest possible monthly payment. Easy, fast application - click the Ready to Apply tab to get started! Apply now with our easy, fast application to see how we can help you save money. Just click the Ready to Apply tab to get started! The saying use to be that your house would be your single largest purchase and your car would be your second. When you really think about it many of us will spend far more over the years on our automobile purchases than our house. The old saying in the 70s (showing my age) was that if you couldn’t pay your vehicle off in 36 months you couldn’t afford it. I started my career in a community bank in 1982 and my first car loans I did in fact finance for 36 months. As vehicles became more expensive we watched finance terms increase to 48 months, than 60 months, than 72 and now 84. The problem is that most of us still buy a payment and cars have increased in price substantially and wages have been stagnate. Many of us today that buy a new or near new vehicle have fallen into that trap of extending the term to have an affordable monthly payment. The problem is that we have not changed how frequently we like to trade so we are now often times upside down or as they say have negative equity in our trade. This has to be refinanced into the new purchase and the term must be extended again, compounding the problem. Others of us think we can bury the negative equity in a vehicle with large rebates. The reality is that vehicles have large rebates because they are overpriced in the eyes of the consumer so there real value is the price net of rebates. So how do we improve the experience and make informed decisions? Determine a realistic value of your trade using the many tools on the internet. I like to use Edmunds, Kelly Blue Book and NADA. I add the three together divide by three and have a solid average value. Check the True Market value of the vehicle you are purchasing using the many tools found online. I also like to look at sites that speak to the true value of ownership. This looks at depreciation, maintenance, fuel economy and other factors. Do not get emotionally invested in a vehicle on a specific dealer lot, its only sheet metal and they are available at many locations. If I have sold my trade than it’s a simple transaction starting with going online and determining current incentives. Looking at inventory online and calling dealers to determine their cash price (no trade) less any incentives. The dealers that get the closest to invoice price less incentives is where I’m focused. The Finance and Insurance person will try to sell you a number of add on because they make their living on commission. Finance rate: If your FICO credit score is 730 and above you are in the driver seat, ask them what the best buy rate is they have for the term you want. Buy rate is what they can get the money at and they are typically allowed to increase the rate by as much as 3%. Example Buy Rate is 2.5% APR they can have you pay as much as 5.5% APR. The dealer would get the other 3%. For them to realize the 3% they will most likely tell you that you have to keep the loan for 4 months. The reason is that if the loan is paid off or refinanced in less than 4 months they will not get their 3%. If you do not have an equity position in the vehicle you are purchasing they will attempt to sell you GAP insurance which covers the difference between what your insurance pays and the balance of the loan in the event the vehicle is Totaled or stolen. Many dealerships charge $700. Plus and the credit union offers this service for under $300. Many people are buying extended warranties today because of the longer loan terms. In the vast majority of instances the credit union can provide mechanical breakdown insurance at a much lower cost than the dealership. 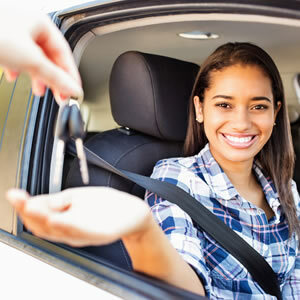 Life and disability insurance on auto loans is also available at the credit union and unlike a dealership that offers a lump sum premium based on the term and financed into the loan. The credit union offers it as part of your monthly payment based on a declining balance and ends when you pay of the note or request us to discontinue the service. So why is this all important? Ultimately you want to finance the least amount for the shortest term, living within your monthly budget. Being an informed buyer and seller, purchasing the additional services you need at the lowest possible cost and receiving a competitive rate will serve you better. Remember always take the rebate and finance the smallest possible amount. Stop in and we will help you through the process. 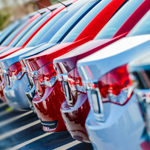 Manufacturers often market vehicles by offering a rebate or exceptionally low financing. Should you take the rebate or the special financing? The dealer does not give you both. For example, you have decided to purchase a vehicle for $20,000. The dealer is going to give you a rebate of $3,000 or a finance rate of 0%. Which deal is in your best interest? Here is a comparison of the loan payments with the dealer’s reduced financing and a credit union’s standard financing. $1520.12 is saved over the term of the loan with credit union financing. In addition, if you were to sell the car during the time you were paying on the loan, more money would come back to you because you had a lower loan balance. Many consumers will not qualify for the low rate financing. You generally must have near-perfect credit to get the best rates. Most often, offers of special financing are for a limited term, generally up to 36 months. This can make the payment considerably higher than most of us would like. Large down payments may be required. *The rates quoted are for comparison purposes only, and are not a guarantee of the rates offered by any particular credit union. Contact your credit union for the current rates on new and used car loans. "I can’t wait to get my own car." Sound familiar? Before you start shopping for a used car with a teenager you know, do some homework. It may save you serious money. Consider driving habits, what the car will be used for, and your budget. Research models, options, costs, repair records, safety tests, and mileage through libraries, book stores, and Web sites. Once you’ve settled on a particular car, you have two payment options: paying in full or financing over time. Financing increases the total cost of the car because you’re also paying for the cost of credit, including interest and other loan costs. You also must consider how much money you can put down, the monthly payment, the loan term, and the Annual Percentage Rate (APR). Rates usually are higher and loan periods shorter on used cars than on new ones. Dealers and lenders offer a variety of loan terms. Shop around and help your teenager negotiate the best possible deal. Be cautious about financing offers for first-time buyers. They can require a big down payment and a high APR. To get a lower rate, you may decide to cosign the loan for your teen. If money is tight, you might consider paying cash for a less expensive car than you first had in mind. Buying a car from a private individual is different from buying from a dealer. That’s because private sales generally aren’t covered by the Used Car Rule, or by "implied warranties" of state law. A private sale probably will be "as is"—you’ll have to pay for anything that goes wrong after the sale. There’s more to buying a car than just paying for it. Other items to budget for include insurance, gas, maintenance, and repairs. To help save money, compare coverage and premiums with several insurance companies. Buy from a low-price, licensed insurer, or add your teen to your policy. Some companies offer discounts to students with good grades. Remind your teenager that it pays to drive safely and observe speed limits. Traffic violations can cost money in tickets and higher insurance premiums. Next, pump your own gas and use the octane level that your owner’s manual specifies. Third, keep your car in safe driving condition. Following the vehicle’s maintenance schedule can help forestall costly repairs. Finally, look for a mechanic who is certified, well established, and communicates well about realistic repair options and costs. Find one who has done good work for someone you know. While many connect the phrase "lemon" with shady used-car purchases from auto dealers, this particular investigation revolves around auto makers who buy back defective new cars only to resell them to dealers. The dealers subsequently sell them to buyers without disclosing the vehicle's past problems. Consumer advocates call the practice laundering, alleging that car sellers deceptively wash all stains of previous troubles from the car's paper trail. State laws do exist which are designed to protect consumers from unknowingly buying defective vehicles. Each state does require that consumers receive refunds or replacements if problems with a new car cannot be fixed after a specified number of attempts over a given period. Thirty-six states also require dealers to reveal that a car is a lemon to buyers prior to the final purchase. In Michigan, for instance, the Consumer Protection Act safeguards consumers by requiring merchants—auto dealers included—to disclose to potential buyers any defects or problems with merchandise. However, there are no laws requiring manufactures to disclose such information to the dealership. Reliable dealers attempting to protect themselves and their customers, will, in most cases, request all such pertinent information about the vehicles they are purchasing. Check the mileage. If it's low, question whether the owner ditched the car because of problems. Ask the seller to prove any claims that the car was returned for trivial reasons. Check the label. If the car is advertised as an executive, brass hat, demo, program, or repossessed vehicle, confirm it. These aren't always problem cars, but you should insist that the seller support such claims in writing. Check the warnings. Carefully read all disclosures on the car's window sticker, door frame, title, and contract. Look for any reference to defects such as factory or manufacturer buy backs, or warranty return. Check the past. Request and review the car's service history and note any frequent problems or gaps in records. Study the title. Have the Vehicle Identification Number (VIN) analyzed. Experian Automotive Information Systems (a branch of the Experian credit bureau) maintains a database of more than 135 million VINs which can provide mileage reports at previous points of sale, safety recalls issued for the vehicle, and insurance claim information. Check the car. Before you buy any used vehicle, have an independent mechanic assure you that it's sound. Ask the technician to check if all of that model's safety recall work has been done. Protecting yourself from buying a lemon takes time and diligence, but in the long run you'll be financially and possibly physically better off. When the time does comes to make that new or used car purchase, contact your credit union for the best used car loan rates! Explore your financing options—especially your credit union. A credit union tends to lend more money than a bank and generally offers more favorable rates. 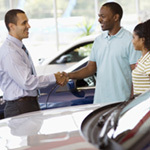 Credit unions also have arrangements with local dealerships, offering member-only sales. Do not give the dealership a credit application until you know for sure that you are going to finance through them. Make sure that you have exhausted all other sources including your local credit union. A little extra time shopping at your local credit union may save you a lot of money. 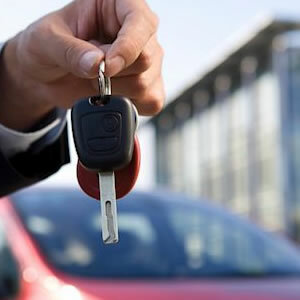 If you do apply through the dealership, and then try to go somewhere else for your loan, you may find that you have a number of inquiries on your credit report. This makes it look like you weren't approved for other loans and each lender thinks the others know something bad about you. If you finance at the dealership, never take delivery the same day. Pick up the car only once you know that the financing is absolutely final. Always check the dealer’s numbers carefully, and don't sign the paperwork until you are positive that the numbers are correct. Remember, once you've signed, you rarely can get out of the deal. Determine if you can afford a new car. The total of all your debt shouldn't be more than 40 percent of your monthly take-home pay. Shop for financing first. A credit union tends to lend more money than a bank and generally offers more favorable rates. Credit unions also have arrangements with local dealerships, offering member-only sales. Decide exactly what you want this car to do for you. How many people will you be carrying? What options do you want in order to be comfortable? Know exactly what you want before you set foot into the dealership and stick to it. Research dealerships. Make sure that you find one close to you. If your vehicle needs service, it will be much easier to establish a relationship with the service manager if the location is convenient. Know the car you want to buy before you go shopping. The Internet is an excellent way to find information. There are numerous sites specifically for supplying consumers with information on the make and model of the car you want to buy. Most sites include information such as dealer price, equipment listings, specifications, safety features, and warranty details. Find out how much insurance is going to cost for the new vehicle. If you can afford the car, but you can’t afford the insurance, then you should purchase a different vehicle. Try to determine the actual value of your trade-in. Use the market guide books for an estimate, and then visit various used car lots to get a bid on the car. I would like to apply for a loan. Are there age restrictions? Member-owners must be at least 18 years old or be accompanied by a parent or guardian to apply for a loan with Northern Lights. Do I have to be a member to apply for a loan? No, you can apply by phone without being a member, however, you must be eligible for membership. Prior to the loan being funded, you will need to establish a NLCU membership and a Savings Account. Call our Branch locations for assistance. What type of income verification is required for self-employed individuals? We require copies of your tax returns from the two most recent years. Are there any prepayment penalties for paying off a consumer loan? No, you can pay off any NLCU consumer loan without incurring a prepayment penalty.